Vibra® Heavy Duty Electromagnets handle ferrous materials safely and securely, provide an efficient and economical solution for handling and holding parts. Rectangular Electromagnets are available in a variety of sizes. Vibra® Heavy Duty Electromagnets handle ferrous materials safely and securely, provide an efficient and economical solution for handling and holding parts. Rectangular Electromagnets are available in a variety of sizes. 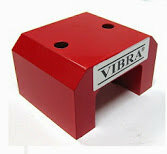 "Vibra" Powerful Magnetic Floor Sweepers for industrial and home uses. 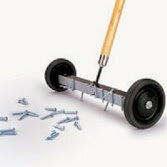 Magnetic Floor Sweepers are great for collecting nails, screws, staples and scrap steel from shop floors, walkways driveways, construction sites or other areas. 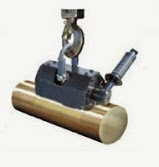 The magnetic force is permanent and powerful, they are easy to operate and easy to maintain. 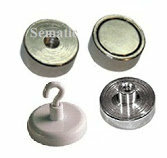 We supply a wide range of Pot and Holding Magnets, including Standard and Super Power Pot Magnet and Holding Magnets. A hole is built-in the magnets to attach the eyebolt for a different application. Super Power Pot Magnet and Holding Magnets are special design with Heavy-duty function. With this design, they have good appearance and prevent potential injuring during working time. Please add the enclosed eyebolt on the top or side of the Pot or Holding Magnet and use to hold, lift and hang objects. Block shape magnet, Ring shape magnet & Disc shape magnets in either Ceramic, Rare Earth or Alnico Magnet materials, Vibra has largest selections are available ex-stock. 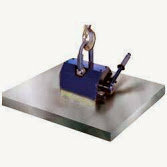 In addition, we're able to supply non-standard magnets as per your specification to meet your special needs. Magnets supplied on a manufactured to order basis and since thousands of tools already exist, customers can usually have the exact size they need without tooling costs. 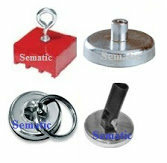 We can supply all grade of magnets. A high temperature is available upon request. Rare Earth or Neodymium Magnets (NdFeB) or Super Power Magnet have the highest magnetic energy than any other magnet material. Very high resistance to demagnetization. Can be fabricated in small shapes and sizes with highest magnetic fields. Low operation temperature ( under 80 to 150 degree C). Dark grey in colour. Hard and brittle. Easy to be oxidized as its surface in wet air. Normally there are plated with zinc or nickel. Must be careful to handle to avoid personal injuries and material damage due to its extremely magnetic strength and brittle property. 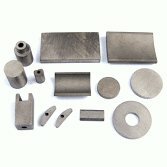 Alnico Magnets has very good corrosion resistance and extreme temperature resistance. It is extremely stable for temperature changes. Ceramic Magnets are black in colour and are hard and brittle. This type of magnet is low cost, good resistance to demagnetization and high-temperature resistance. 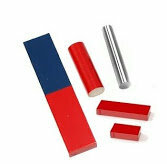 We have large variety size of ceramic magnets in stock. These ceramic magnets are ready for immediate delivery. Samarium Magnets (SmCo) are characterized by high magnetism and are also resistant to both rust and high temperature. These magnets represent the highest magnetic energy product after neodymium magnets. Samarium Magnets are often used in many applications which require higher operation temperature, higher corrosion and oxidation resistance, it has a very powerful magnetic force. "Vibra" Ceramic and Rare Earth (NdFeB) Bolt Hole Magnet-Taper Hole Magnet-Countersunk Hole Magnet available in various sizes. Flexible Magnet can be cut, bent, twisted, coiled, punched, slit or die cut into shapes without loss of magnetic energy. No surface treatment is required to protect against corrosion. No special handling precautions have to be taken with flexible magnets since they are relatively weak magnetically and are not brittle.